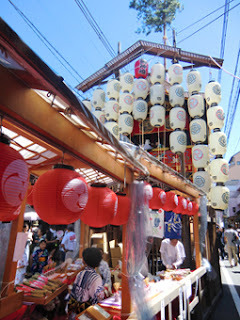 I reached the top of the float! 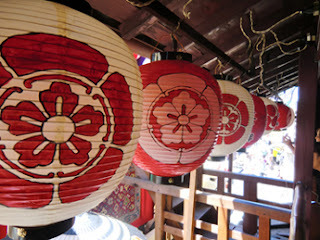 but these old customs became out of date,as time passed. 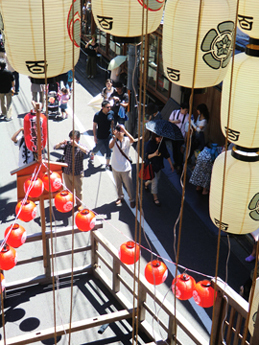 The upper floors of this float command a panoramic view of the street. They are outdoors enjoying the cool air. 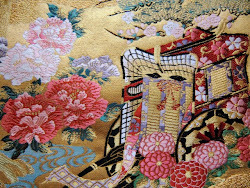 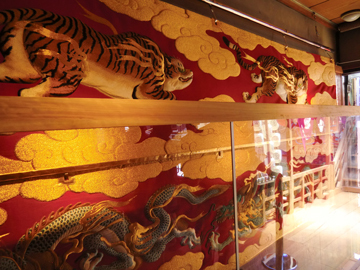 Powerful Tigers and Dragons are embroidered on this tapestry. 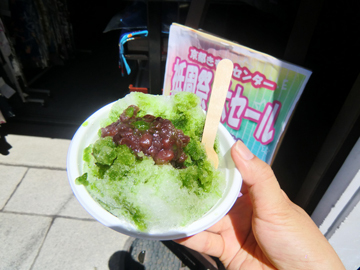 I love this shaved green maccha-ice! 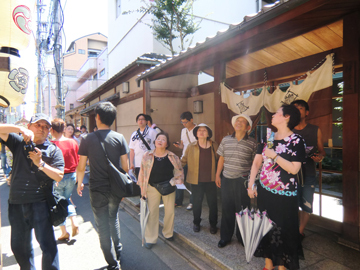 There are many tourists,sightseers on the street. 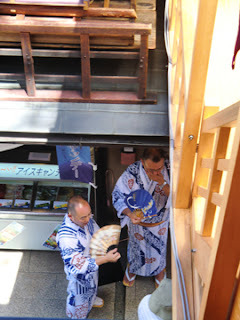 people are selling many souvenirs. 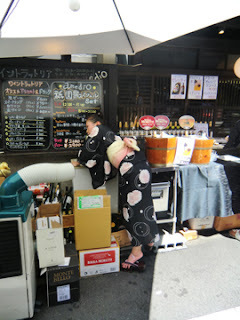 This girl (black yukata) is now selling beers and wines in front of her trattoria. 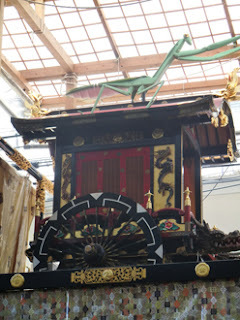 This is "Toro yama" (decorative float,with a mantis on the roof). 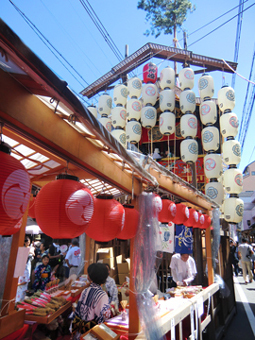 so it is recognized as a guardian of this float.